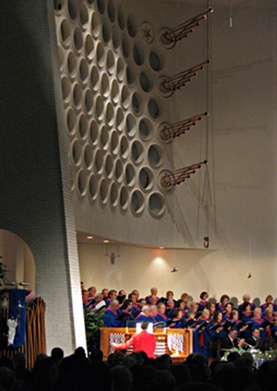 First United Methodist Church has maintained a tradition of excellence in worship, music, and the arts for more than a century. We continue that tradition with great preaching, our musical ensembles and musicians, and worship services ministering to thousands of individuals every week. We are conscious of the fact that for centuries Christianity has been a singing faith. God has given us the glorious gift of music. We have been blessed with voices to sing and it is our duty and pleasure to use our God-given talents for his praise.